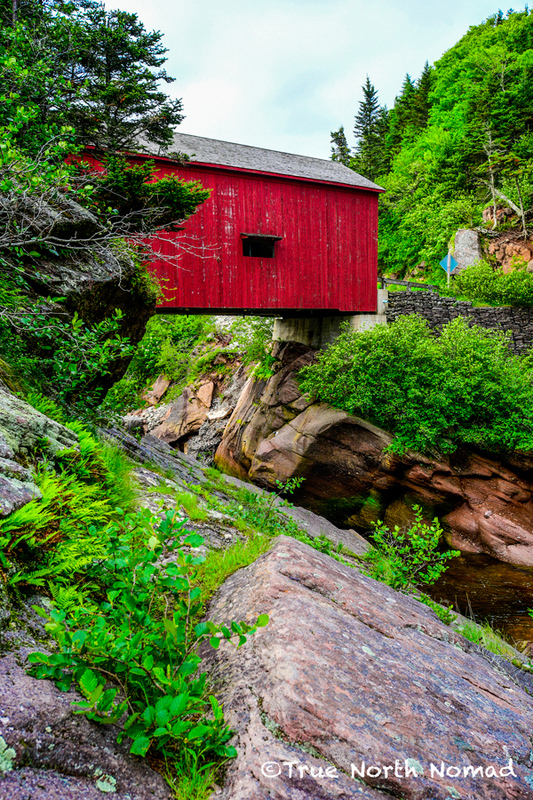 There are few places in the world that can lay claim to rugged ocean coastline lined with tide shattered cliffs, tempered, pristine lakes, over 25 waterfalls, vibrant wetlands teaming with life all surrounded by lush Acadian forest, layered among one of the oldest mountain ranges in the world. 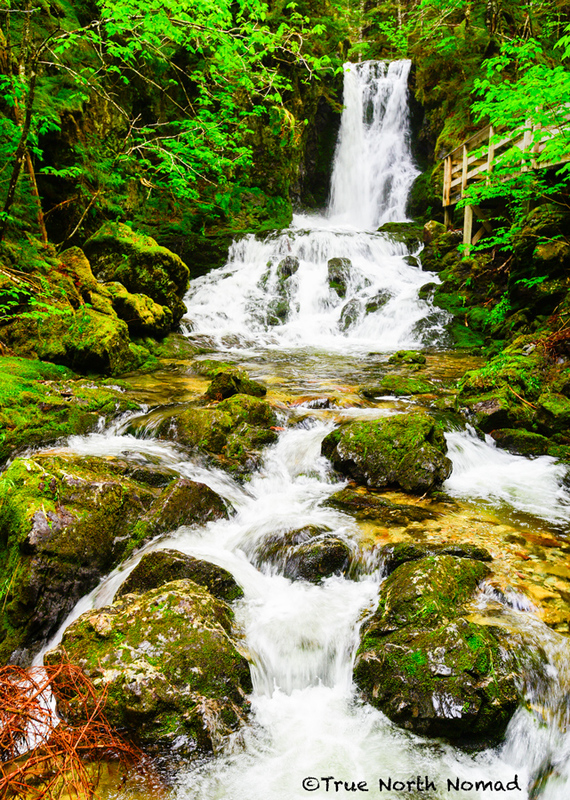 Although famous for the highest tides in the world, this Canadian treasure is all of the above and then some. 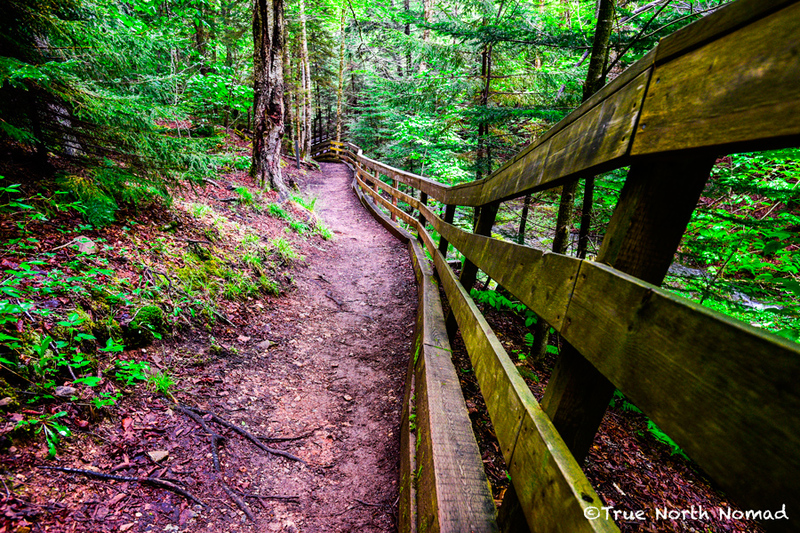 Of course I’m talking about Fundy National Park – read about it at Parks Canada website here. Like most Canadians, I’ve seen and heard countless photos and testimonials of the awe inspiring wonder of walking the ocean floor when only mere hours before the Atlantic had swallowed the base of the flowerpot islands. And although I have travelled through New Brunswick four times in my life, I have never seen the province quite literally. No I didn’t have my eyes closed. In fact three times I came through during the night and nothing was visible but the dimly lit highways. My fourth time in the province there was a blinding snow storm from the Quebec to Nova Scotia borders and again I saw nothing that time either – not even the highway. I decided it was high time we spent some time wandering in, not through New Brunswick and see where the open roads took us. 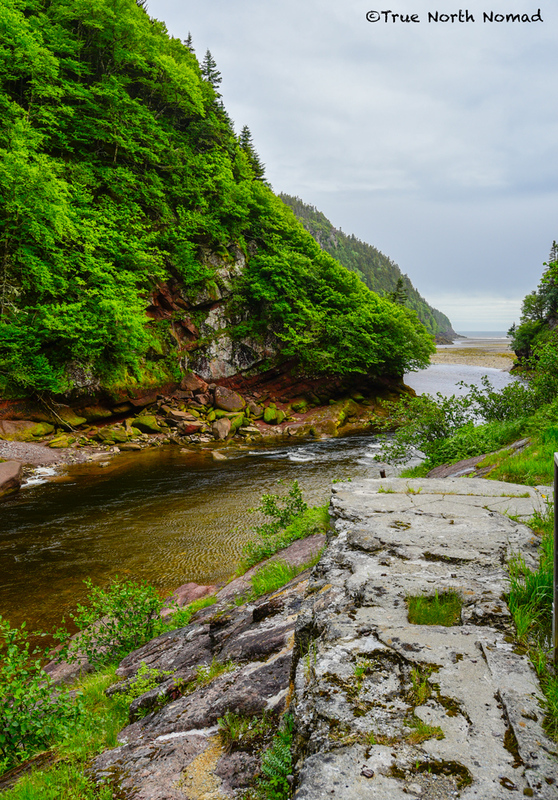 Well our adventures had us head straight to Fundy first, which not only gave us the opportunity to discover this beautiful province but also to explore this awesome national park. 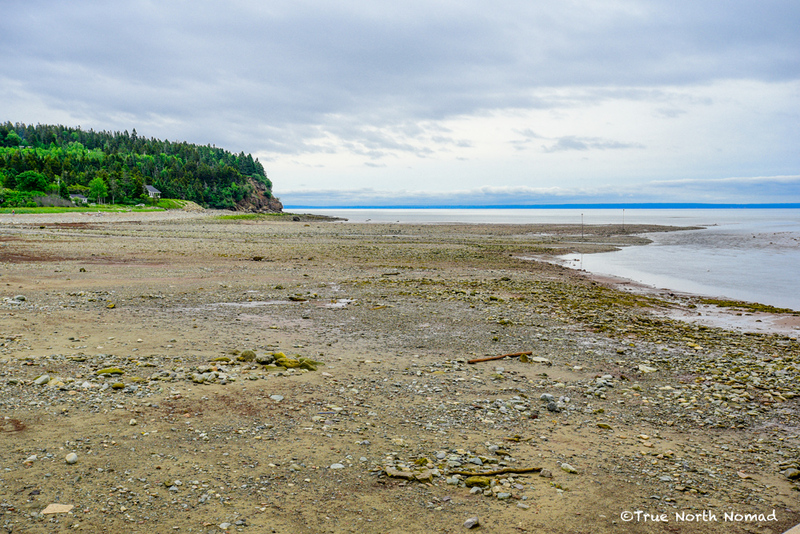 Situated near the quaint town of Alma, which on its own is oozing east coast charm, I found much of what I expected in the area – rugged coast line, high tides and the mudflats of the ocean floor. What I wasn’t expecting was the lakes so close to the Atlantic coast, the wetlands, mountains and of course the forests. Honestly, the forests alone are worth the trip to Fundy (our shortened nickname for the park not to be confused with Grundy located in Ontario which I kept referring to it as and Q kept correcting). 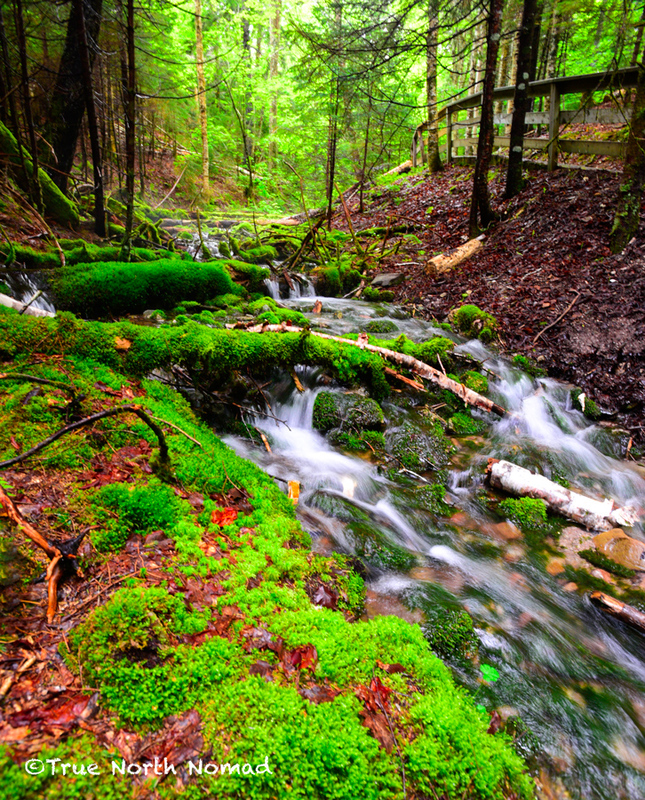 Imagine streams meandering through red mud mingled with pine needles, under a canopy of monstrous trees that block out the sunlight preventing a ton of overgrowth on the forest floor. 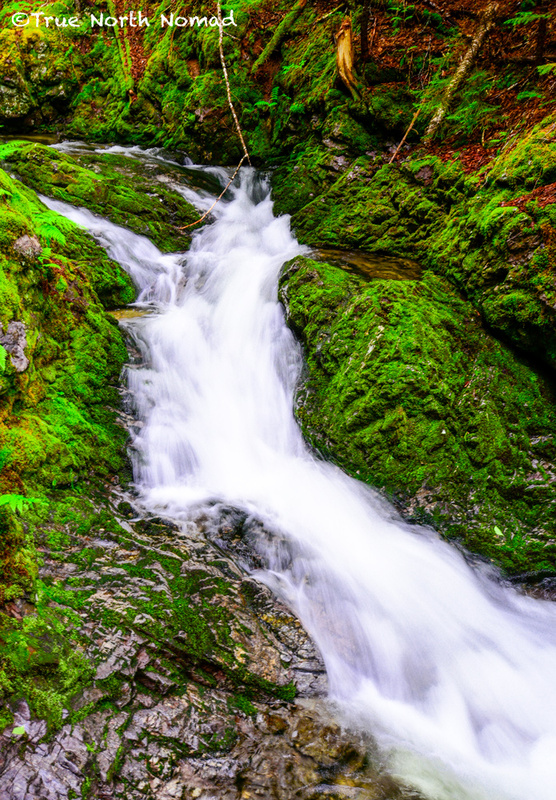 Fallen trees and dampened rocks engulfed by the greenest moss you have ever seen. 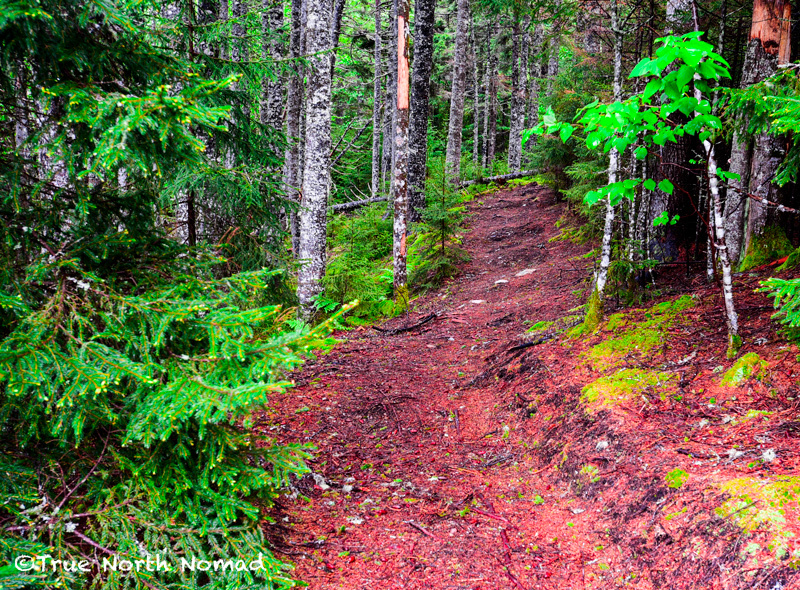 Fundy forests truly induce a dream state. You want to pinch yourself because you can’t believe something this beautiful is real. Yeah you’ve seen it in Canadian Geographic but to stand within it’s awesomeness is surreal and humbling. My only regret on our trip was that I couldn’t explore the entire park in the time we had. The park has amenities for every type of traveller. 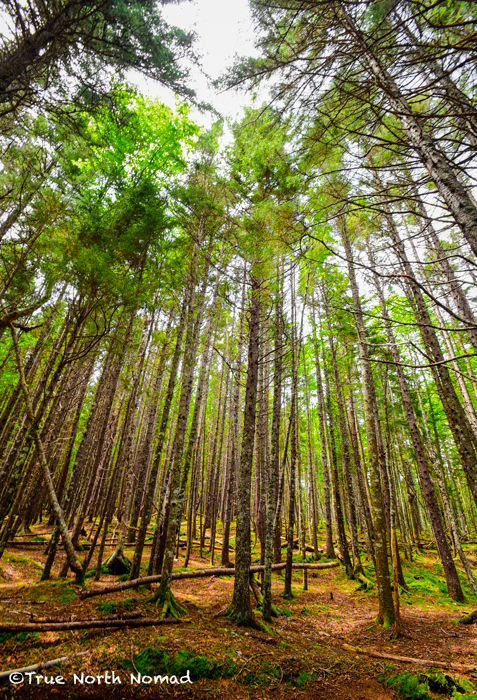 There are three campgrounds in Fundy. Two of the campgrounds have hookups for large RVs and travel trailers while all campgrounds can accommodate tents. There are yurts to rent and even backcountry camping. Whether you choose to spend many days or one in the park there are activities for everyone’s ability and preference. 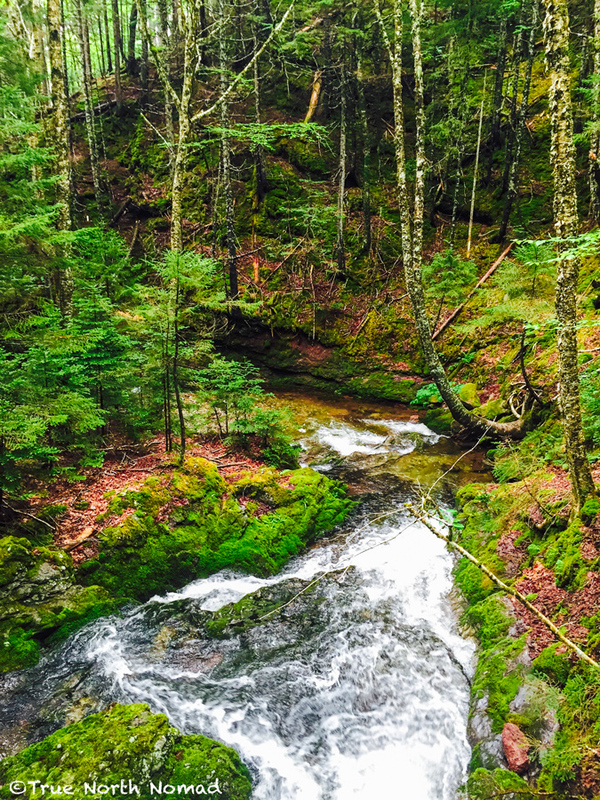 Endless hiking trails from easy to difficult beg you to explore the wilderness, kayak or swim the tiny lakes within. There is even a golf course within the park limits and on weekends during July/August Maritime Musicians perform at Fundy’s Sounds of Summer event in the parks very own amphitheatre. 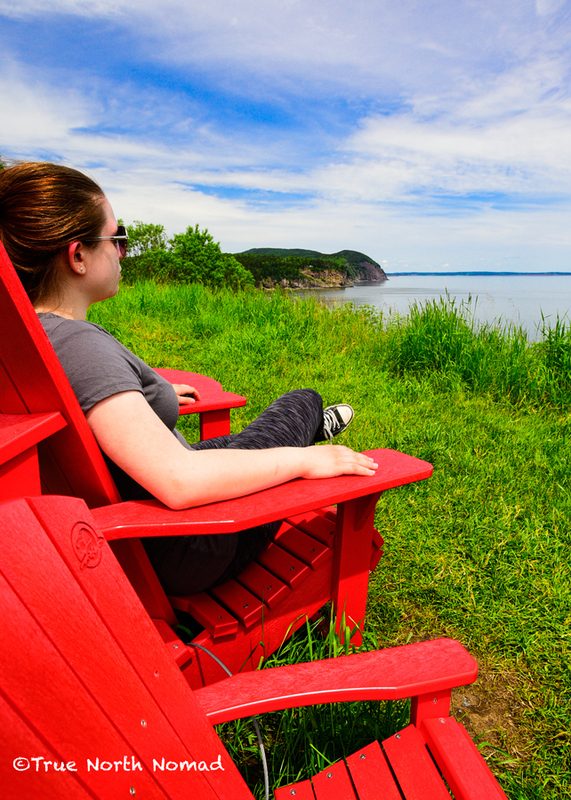 Like some other national parks, Fundy has the red chair program. Red Adirondack chairs are placed strategically throughout the park, forcing your gaze to some amazing views. Some are easy to find, others are a bit more work to get to. It’s a game to try and find as many as you can and they are in some awesome locations! Before travelling to Fundy I have one word of caution. Research the weather for the area for the time of year you will be visiting. We visited in late June/early July. We assumed the rest of the country was in the middle of a hot, humid, unbearable summer just like where we live. Well it dropped to 10° C our first night in the park. And it never did get above 15° C until the day we left. And although the moisture in the air from being seaside can keep your clothing and bedding nice and damp, it also rained every day on our trip except one. It turns out the coast was still in spring. A very wet, damp, cold spring. This is fine, but if we had done our homework and not been a bunch of tools we would have been better prepared for our trip and wouldn’t have froze to death our first night. One other word of caution. 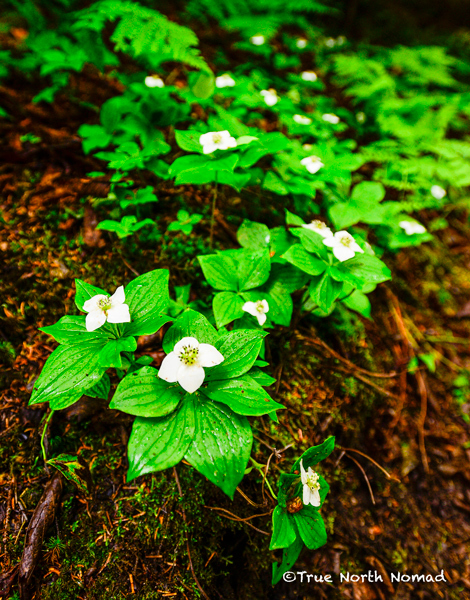 Although the park is home to bear, moose and other critters you expect in a forest, and none of which we saw, it also has an overpopulation of slugs due to the damp forest floors. Yes, welcome to Slugville. Every morning our tent was dotted with them. Hiking the trails took longer than usual as Jack sung out “Slug, two o’clock” cause you know you don’t want to step on them. Some hitched rides on our clothing and Q even had one stowaway on his hot dog. No he didn’t eat the slug, he flung it into the woods and then continued to eat his lunch. Let’s just say we won’t be kissing any time soon. Also, while in the area make sure to check out Alma. There is some divine seafood restaurants in town, a bakery famous for their sticky buns, and the liquor, deli/grocery, department, convenience and gas station are all located in one store! Make sure to take a walk out on the peer at low tide and see the boats that brought all of that delicious seafood ashore sitting on the ocean floor. 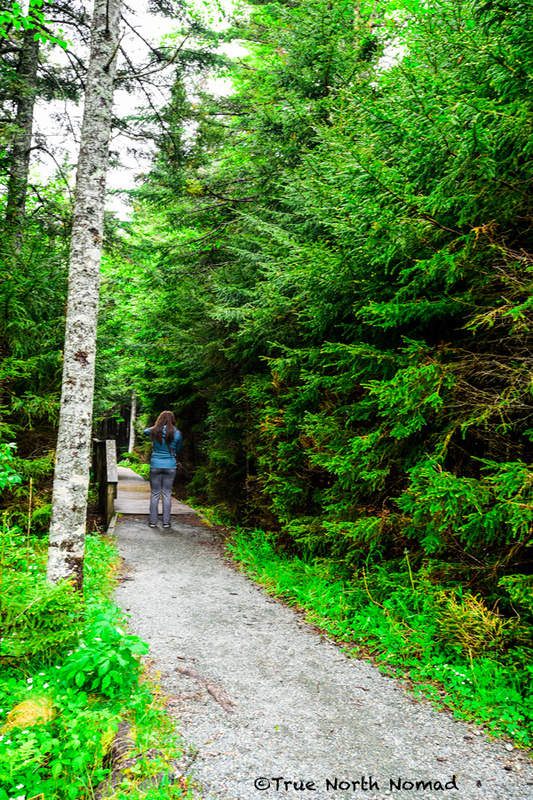 There are a million things I could tell you about Fundy, but as the saying goes “It’s better to experience something once, then to hear about it a thousand times”. I could go on and on about how awesome this park is but let me conclude with this. I have been all across Canada and to some really amazing places. Scenery so beautiful it takes your breath away because you know God has to be close. 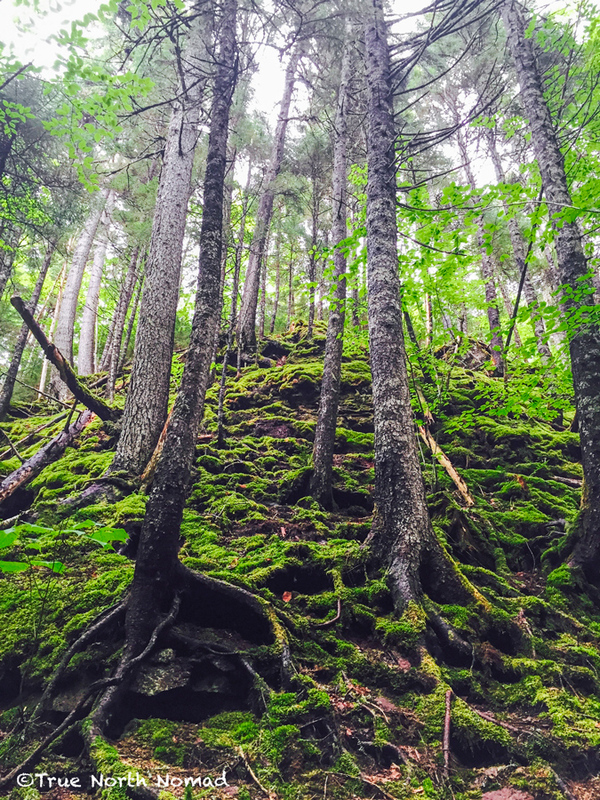 I challenge you to explore Fundy without gasping for air. 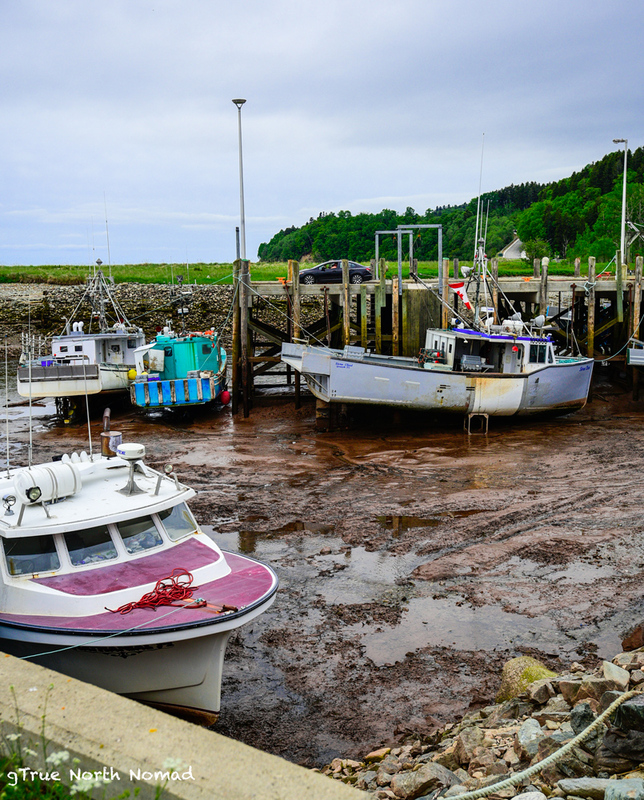 What was your favourite place about Fundy or the town of Alma? Did you walk the ocean floor? Hey… Where have you been? 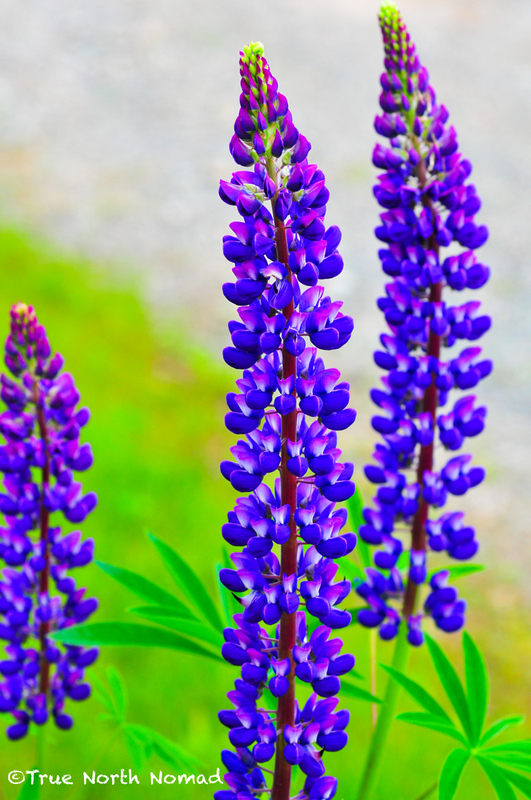 Keep in touch and click the blue follow button below and add your email address. 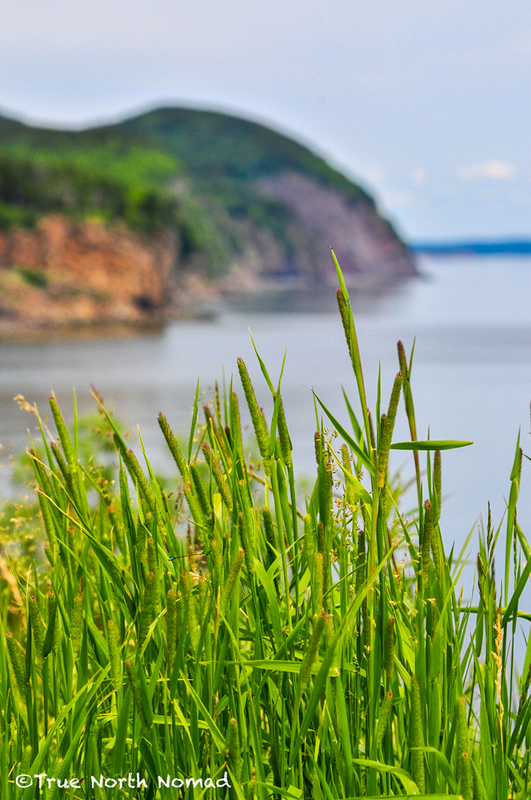 hi, great pics, Fundy is on our list for next summer! I was curious about the slugs issue on the tent, and did some digging , I found these ideas on a biking forum : http://www.bikeforums.net/touring/215284-wild-campers-any-slug-tips.html but here I found a possible humane way of control for the one or two nights your in a tent self-adhesive copper tape. When a slug tries to cross it, it delivers a mild electric shock that prompts it to change direction. I have no idea if that works but i found it on the internet so it must be true. Great post , love the writing. Thanks for the tip. 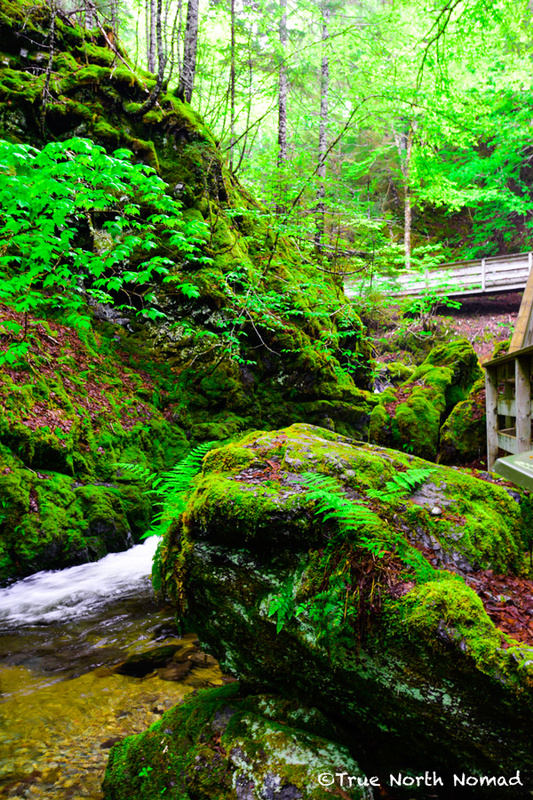 You’ll enjoy your trip at Fundy. It is honestly one of the most beautiful parks in Canada!